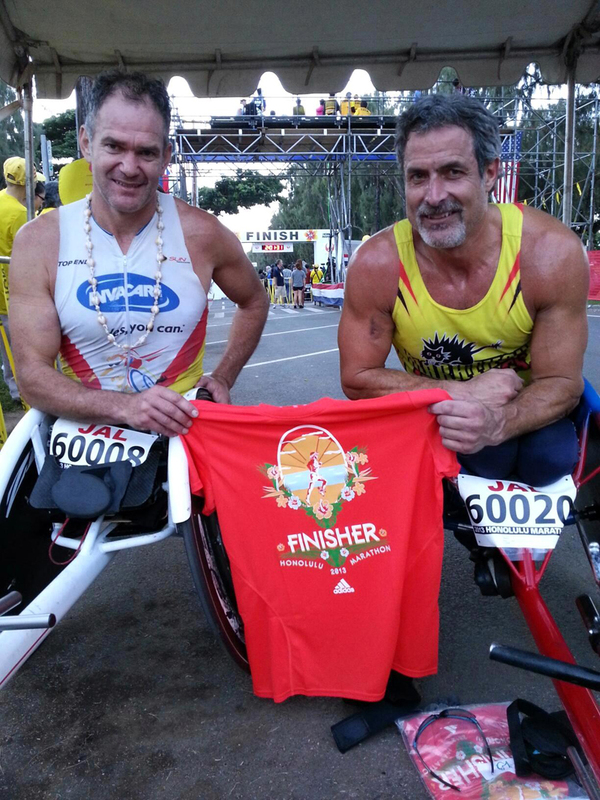 Grant pictured with his friend Krige at the Finish Line. 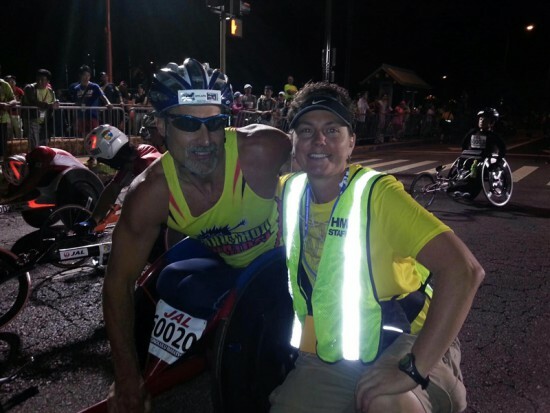 Grant here with Laura the Race Director of the Honolulu Marathon. She’s illuminating.